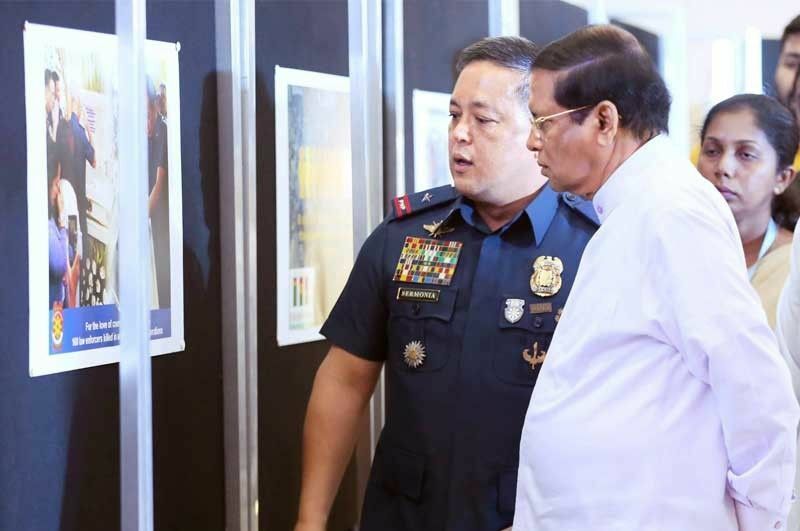 Sri Lankan President Maithripala Sirisena views a photo exhibit on the PNP drug campaign with Chief Supt. Rodel Seremona at Camp Crame. 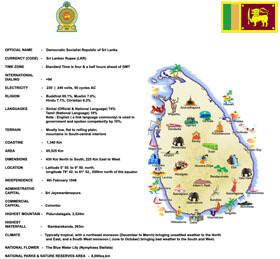 MANILA, Philippines — Sri Lankan President Maithripala Sirisena continued to heap praises on the government’s anti-illegal drug program as he visited the national headquarters of the Philippine National Police (PNP) in Quezon City on the final leg of his five-day state visit in the country. During his visit, Sirisena was briefed by Dangerous Drugs Board (DDB) chairman Catalino Cuy on the current illegal drug situation in the country and the solutions put forward by the administration in its war on drugs. Sirisena called President Duterte a “world leader in the forefront in the fight against illegal drugs,” one that he said he respects and admires as some leaders do not want to aggressively fight the drug trade. “That is why I believe the entire world, not only the government of Sri Lanka, must respect the difficult task carried out by the President, the government and all your public officials,” Sirisena said in his speech. PNP chief Director General Oscar Albayalde said Sirisena’s visit was “very fruitful and productive” as they were able to show the Sri Lankan president the whole government approach in the fight against illegal drugs. Sirisena even invited “experts” of the campaign against illegal drugs to Sri Lanka to share their knowledge on how to fight the menace, as he said their country has become a major transhipment point in the international drug market. Insights on modern techniques and equipment on how to detect illegal drugs, particularly in ports, were part of the information-sharing, according to Albayalde. Sirisena flew out of the country after he was given departure honors yesterday.